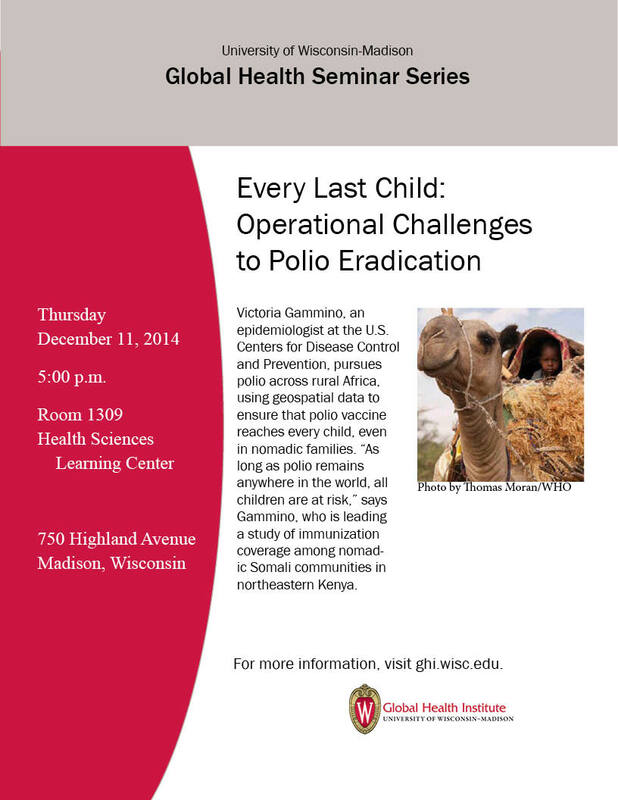 Victoria Gammino, an epidemiologist at the U.S. Centers for Disease Control and Prevention (CDC), pursues polio across rural Africa, using geospatial data to ensure that polio vaccine reaches every child, even in nomadic families. “As long as polio remains anywhere in the world, all the world’s children are at risk,” says Gammino, who is leading a study of immunization coverage among nomadic Somali communities in northeastern Kenya, who are constantly on the move in search of grazing for their livestock. “Reaching every child can be difficult, but microplanning using geographic information systems is one of the best tools in the eradication toolkit.” Read more.